Ensure that your laptop has a safe journey. 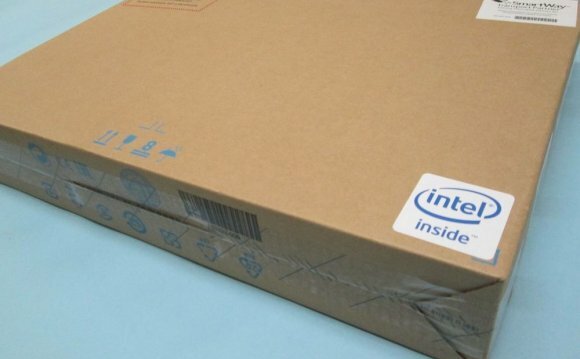 The best way to ship delicate equipment like a laptop computer is usually in the original packaging. But if your business doesn't have room to store the boxes its equipment comes in, the original packaging is long gone by the time you need to ship a laptop back for repairs, or to another site. Take the time to ensure that your device is properly packed and shipped to provide it with safe passage to its intended destination. Line your shipping box with bubble wrap or packing peanuts. Old newspapers can also be used for this task. This will help protect the laptop from any shocks the box absorbs during transit. Seal the box's openings with packing tape. When performing this step, don't be afraid of using too much tape, as the last thing you want is the box opening up while in transit. Attach a shipping label to the top of the box. If you are sending your laptop back to the manufacturer for repairs, contact the company to learn whether or not they provide prepaid shipping labels. Take the securely sealed package to the nearest post office, FedEx Kinkos or UPS Store and ship it from there, or call to arrange for pickup from your company. Without a prepaid shipping label, the total shipping cost will vary depending on the size and weight of the box. If you don't have an appropriately sized shipping box on hand, you can purchase specially designed laptop shipping boxes from FedEx Kinkos. If you are shipping an AC adapter alongside your laptop, make sure it is sealed in bubble wrap to prevent it from banging into the computer.